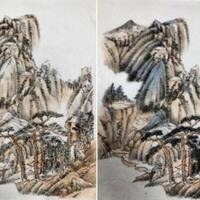 Longtime instructor Guang-Li (David) Zhang, a graduate of the Shanghai Art Academy teaches beginner and advanced students Chinese Brushpainting in mixed lecture and workshop classes. USC Pacific Asia Museum members receive a 10% discount on class fees. Email bethany.wearden@pam.usc.edu for discount code.